Two years after it expired, why are so many people still using Windows XP? One in ten PCs still use it despite lack of security. Windows XP, Microsoft’s once record-beating operating system (OS) has been abandoned for two years. That’s right, two whole years. That’s two years during which there haven’t been any security updates or patches rolled out for its users (with some industrial solutions being the exception), and the system still runs on almost one in ten computers worldwide. On the other hand, this figure is considerably lower, compared to April 8th 2014, when Microsoft pulled off one of the most controversial conclusions of support in computing history. At that time, over a quarter (27.7%) of machines around the globe were still using Windows XP and users were hesitant to upgrade. Compared to the end of March 2014, by the end of that May – almost two months after the platform’s end of life – only about 2.4% of XP users had moved on to Windows 7 or Windows 8.1. 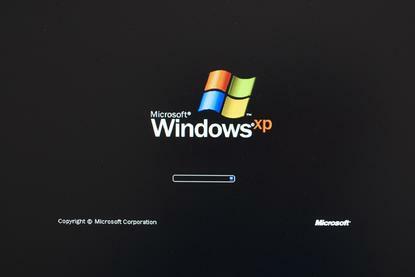 Unfortunately anyone who is still using Windows XP is at risk. While this portion has dropped to 8-11% globally, and would be somewhat higher in emerging markets, it still represents a large number of total users. Due to the insecurity of Windows XP, and the fact that it gets increasingly less secure each month, it is a tantalising target for malware writers. To ensure your device is well-secured, you should update your operating system, use the latest security software, and regularly backup valuable files to media that is kept offline apart from during the backup process. Data security: Without updates, your PC may become vulnerable to all kinds of malicious code that can steal or damage your data and information. Unfortunately, even if you are running updated and reliable security software, it might not be able to fully protect you because of unreported and unknown vulnerabilities in the system. Further, some advanced protection techniques are only supported on later versions of the OS. Threats to your network: Security loopholes put not only your devices at risk, but practically everyone out there. Computers still running XP can open doors for e-criminals to attack other systems as well. Lack of support for Internet Explorer and other platforms: Microsoft has followed up on its other promise from 2014, ending support for older versions of Internet Explorer by January 2016, including version 6.0 – the web browser native to XP. Adding to this, other software vendors are also slowly abandoning the platform; one of the most prominent examples being Google and the Chrome browser. Getting left behind: This will probably not be the last vendor to make such a decision and with new zero-day vulnerabilities lurking in the shadows, (CVE Numbering Authorities kept track just until April 2014) the number of companies abandoning XP will only gain pace. To make an informed decision on an alternative OS, you might like to read our whitepaper about Windows 10, by ESET Distinguished Researcher, Aryeh Goretsky.